Sometimes people don’t realize that the garage space for their home can be as functional and organized as any of their living spaces. It certainly deserves to be, for the amount of traffic it receives. Garages don’t have to be a cluttered mess. And with a well planned design from Impact Design Resources, you can beautifully store everything from yard tools to holiday decorations (as well as your car,) in a well organized, easy to use layout. We start by making an inventory of everything you want to keep in your garage area, and create a personal plan to meet your specific needs. Then we determine which of the latest in creative cabinets and accessory options accommodates your space and uses, and you decide which finish suits your style – from multiple melamine options to stainless steel. 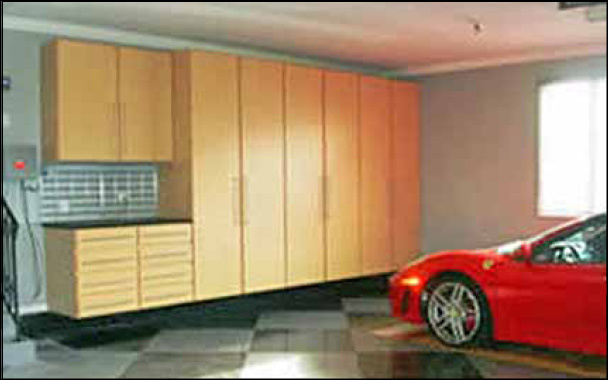 So don’t forget one of the hardest working rooms of your house – let Impact Design Resources help you get the most from your garage space.